Take a deep breath in. Breathe in that crispy air. It’s so unbelievably fresh it hurts your lungs and soothes your soul all at the same time. Breathe in through your sweaty smile and breathe out with one last laugh. As you steady your breath and balance, the beauty around you will start to become clear. Gratitude for the beautiful earth will overwhelm you just enough to keep going. The beautiful earth that is always there, but seldom noticed. It truly is a beautiful thing. Breathe deeper and notice the pattern of the wind. It will stir up and change something deep within you. You will realise the only real sound that exists is your pounding heart and whispering breathe, telling the world that you are alive. And that is an even more beautiful thing. How do you feel when you are hiking out in nature? Or rather, how do you want to feel? You’ll never know until you give it a try! It’s winter in Cape Town and for a kitesurfer like me, that means a lot less kitesurfing and a whole lot more trying to figure out how to keep myself entertained! Besides wake boarding and surfing, I have started to enjoy hiking. 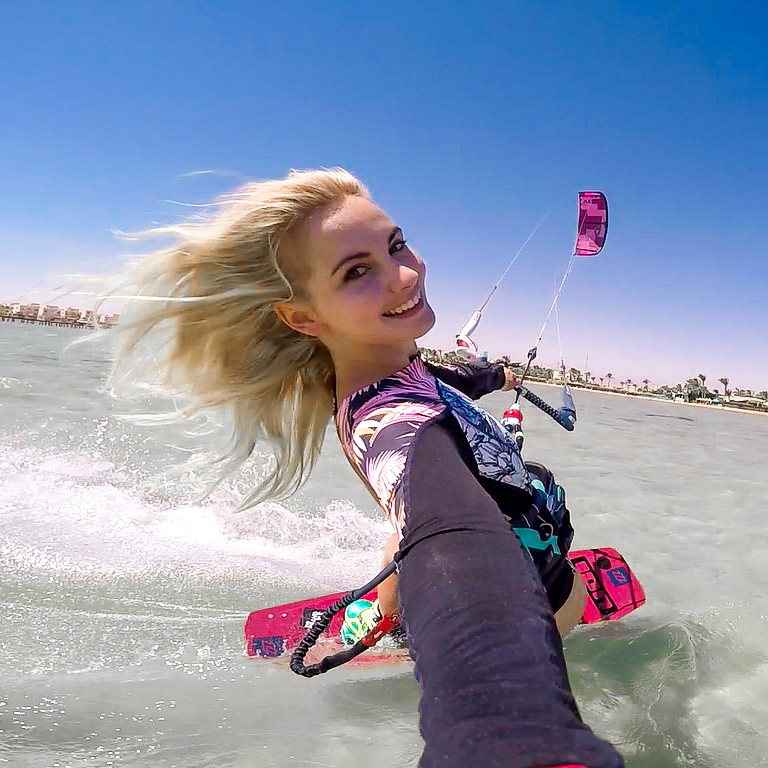 It’s great cross-training fitness for kitesurfing and I love that it takes you outdoors into the fresh air. Just like kitesurfing, it feels more like a fun and adventurous activity than it does exercise. But you get a great workout at the same time! One thing that gets me down in winter is the cold, but after a few minutes of hiking up a mountain, you forget all about that! You also really start to appreciate those calm winter days in Cape Town, because they are perfect for hiking. I asked some of my avid hiking friends on Instagram to help me out with some more hiking tips and motivation for you! What I love most about hiking is that I get to experience places that only a handful of people get to experience in real life. Photos and videos give you an idea, but it’s nothing like actually being there. I hike a lot, this winter I don’t know how many kilometers we walked! One of the craziest places we hiked here in Norway was during a full snow storm with the wind blowing over 30m/s! I love hiking because it’s a different form of fitness to the gym, you get to see things you don’t see every day, it helps me reduce stress and it’s something you can do with or without others. I love hiking because I use it as my form of meditation. Or just to get to the top of the mountain or wall that I’m climbing. I rock climb so most of my hikes are to get to my destination to climb the face, and sometimes I just like to get way up there and sit. So there you have it. I hope this has inspired you to get out there and enjoy the great outdoors. These life-loving hikers have definitely inspired me to start hiking even more!